In an age where mobiles and smartphones are always an arms length away there is no greater way to improve your business than with mobile marketing. By adopting a Bulk text messaging approach either as a stand-alone tool or as part of your multichannel strategy you can reach your clients anywhere, anytime. 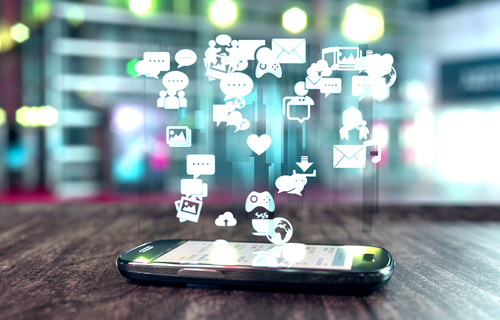 Here are 5 benefits of adopting a mobile marketing campaign within your business. With eight times the engagement rate of email marketing, SMS messaging is an extremely effective communication tool. The immediacy and directness of SMS means that recipients open almost 100% of messages. Another benefit of bulk SMS is that it is an affordable approach to marketing campaigns. With SMS gateways available that offer no setup or monthly fees, no contracts to sign and no commitment deals you can find an affordable rate that suits you. Mobivate pride themselves on offering the most cost effective Bulk SMS solution in the world- best price guaranteed! These days smartphones are always at hand but the internet is not always freely available. By using 2G you can get your marketing campaign sent directly to your client wherever they are, often at a much faster rate than an email. With a high open rate you can also guarantee a quick response from the recipient saving you valuable time. Many businesses are yet to utilise this marketing solution. This means that if you adopt a proactive SMS strategy using a reliable SMS gateway, you are more than likely getting ahead of your competitors by staying on trend. Research suggests that SMS is the top communication channel as chosen by customers so stay ahead of the game and utilise the gap in this very large market. Bulk SMS is a simple, fast and low cost way to communicate. Mobivate offers a mobile messaging service that is so versatile it is used by start-ups, small and medium-sized enterprises and by the most established brands in the world. Not only can it be used as a direct stand-alone tool but can be used in conjunction with other communication platforms to enhance your multi-channel approach.